The 06 series are backshells configured to accommodate heat shrink-activated or cold shrink boot shapes. These shrink boot adapters can be provided with pre-terminated braided shielding. 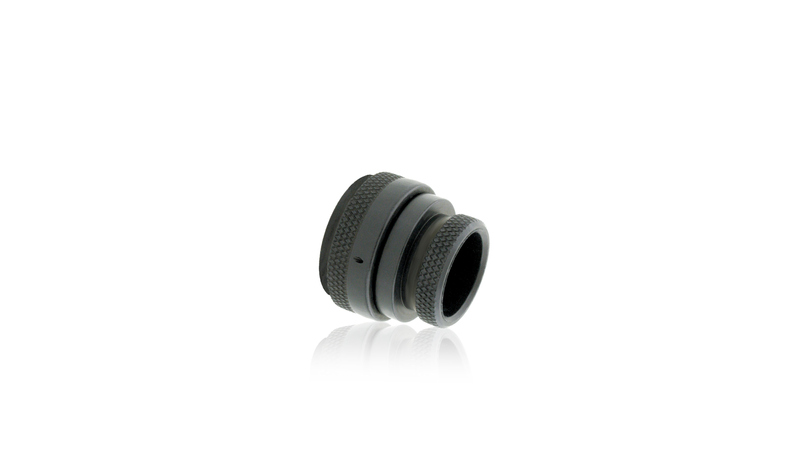 The self-locking mechanism offers a robust and simple coupling solution. 06 backshell series exceeds performance requirements and provides superior mating compared to the conventional self-locking products. A groove is machined into each backshell in order to attach a heat shrinkable boot. The dimension is optimized to integrate various standard boots. 06 backshell series can be pre-terminated, delivered with a shield sock attached at the rear. Length of the shield is configurable; split support ring, bands and other accessories are available to order. Compatible with primary circular connector standards, 06 backshells can be ordered with various interfaces depending on the connector used. Both American and European standards are met, including D38999, M26482, EN2997, EN3645, M5015, etc. Aerospace grade plating, including nickel, cadmium and zinc nickel, are available and qualified according to the applicable standards. 06 series backshells can be ordered on-demand with customer specific finish. The self-seating technology is a lightweight solution compared to the conventional self-locking solutions; the body design has been optimized to remove excess material while ensuring robustness.